It’s been more than six weeks since I left Buenos Aires to return to California and now, as I contemplate a balmy winter’s day (68° F or 20° C), I’m preparing to fly south again – this coming Wednesday afternoon I fly from SFO to LAX to catch the LAN flight to Santiago (where it’s an even balmier 86° F or 30° C). At least, unlike Buenos Aires, it’s a dry heat. 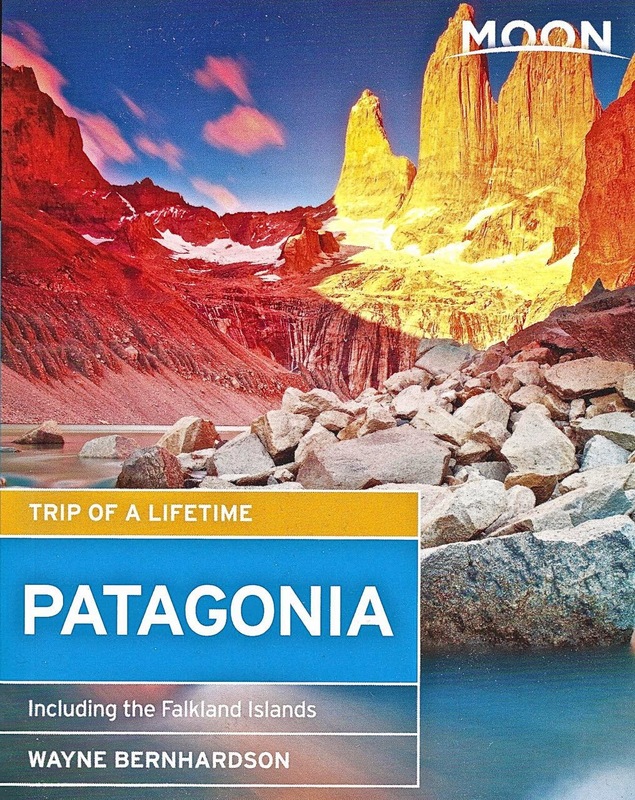 That’s misleading, though, as I’ll be spending most of my time in Patagonia, where the weather is generally cooler and, at times, downright frigid. The photo above is the cover of the new edition of my new Moon Handbook to the region. 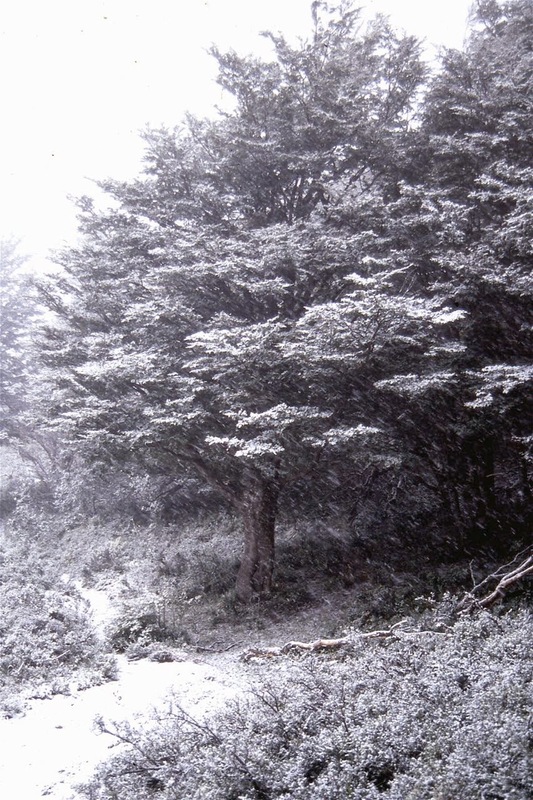 It’s worth pointing that even in mid-summer, in the northern Argentine lakes district around Villa La Angostura, I’ve encountered whiteout conditions on a day hike – as the photo above shows. The most changeable weather, though, occurs in Chile’s southern Magallanes region and the Tierra del Fuego archipelago (divided between the two countries). By leaving Buenos Aires, I’ve missed any direct experience of the story of the century. 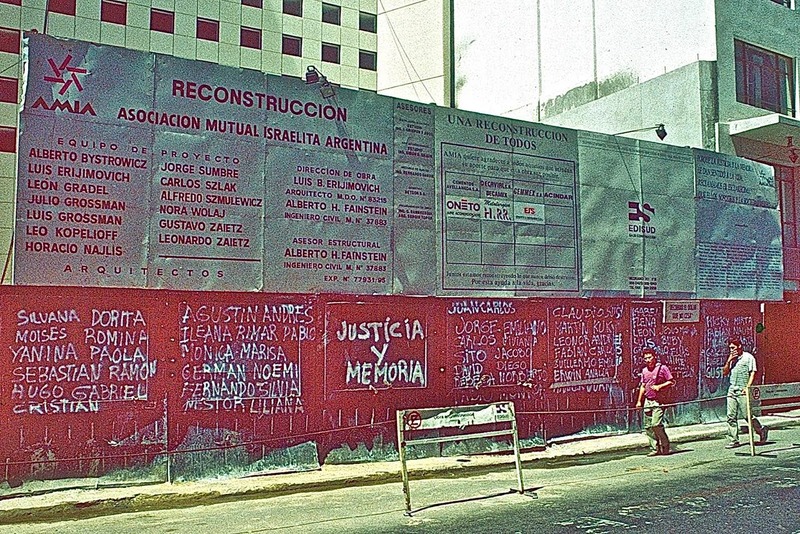 It’s a Byzantine tale in which Argentine federal prosecutor Alberto Nisman (investigating a cover-up in the 1994 terrorist bombing that killed 85 people in the city’s AMIA Jewish cultural center; pictured below when under reconstruction some years ago) supposedly committed suicide last Sunday – or did he? If anybody knows the truth about this convoluted story – where is Benedict Cumberbatch’s Sherlock when we really need him? - he (or she) is not telling, and may never do so. Until we learn more – and there’s no guarantee that we will in a country where judicial investigations can last two decades with no results – I recommend reading Jon Lee Anderson’s essay “A Very Argentinian Mystery” in The New Yorker to put it all in perspective. 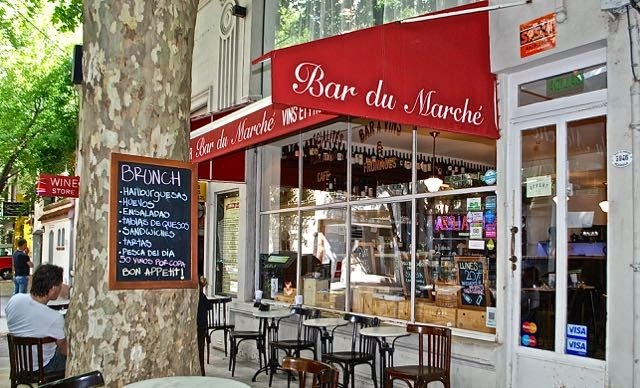 Even given the political chaos, I would not discourage anybody from traveling to Buenos Aires but, given the political tensions that have surfaced since the event, I would recommend keeping some distance from public demonstrations unless you really know what’s happening. Because I’ll be traveling in both Argentina and Chile over the next couple months, I’ve been thinking about money. Despite Argentina’s political uncertainties, both the official exchange rate (about 8.6 per US dollar) and the parallel “blue” rate (about 13.5 per dollar) have remained pretty stable since I left last month. 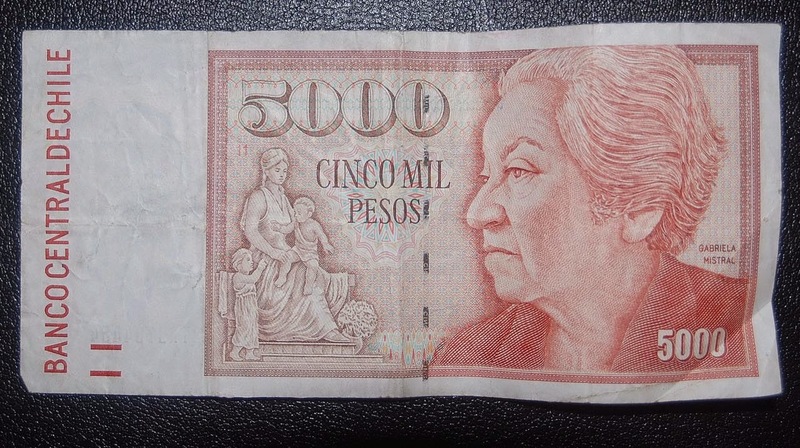 That’s fortunate for me, since I took a risk by changing a significant number of dollars into pesos because I knew I wouldn’t be passing through Buenos Aires, and the market for dollars is smaller in Patagonia. Though Chile’s economy is generally more stable and predictable than Argentina’s, the Chilean peso’s been in a recent slide due to falling prices for copper (the country’s primary export). When I flew out of Santiago at the end of last March, the rate was about 570 per dollar, while today it’s roughly 625; unlike Argentina, there is no black market, so changing at ATMs makes sense (especially at BancoEstado, which collects no service charges). Given low inflation (also unlike Argentina), Chilean prices are likely to be about 10 percent cheaper than last year. In the early 1980s, when I was researching my M.A. thesis on llama and alpaca herding in the Chilean Andes, Horacio Larraín was my local mentor. Then a professor of geography at Santiago’s Universidad Católica, he helped get approval for the project (funded by the Inter-American Foundation). We still see each other occasionally, though he has since retired to the northern city of Iquique and the interior desert village of Matilla. 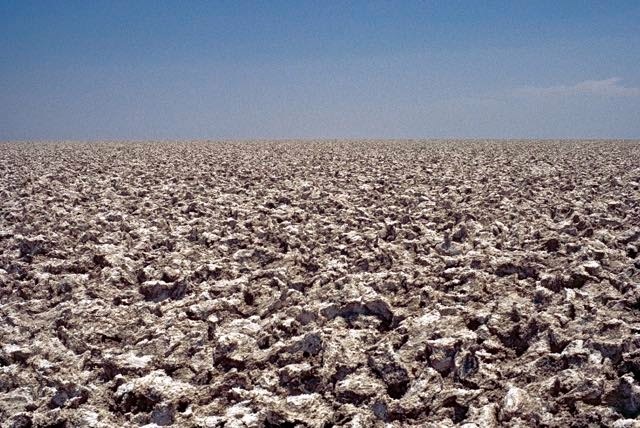 A longtime aficionado of the Atacama Desert, Horacio is (like me) concerned with the human and environmental destruction wrought by the annual Dakar Rally, which relocated from Africa to South America in 2009. 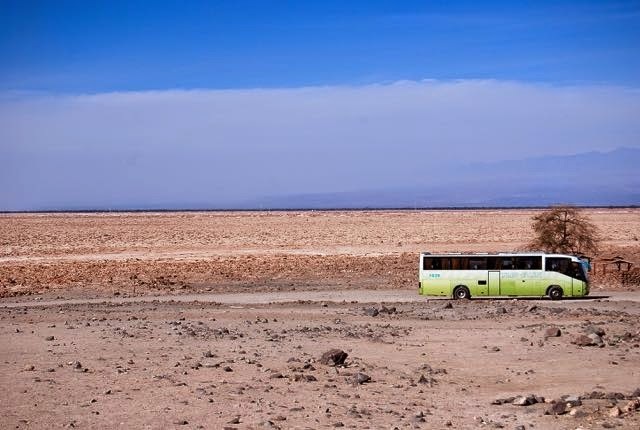 Since then, Dakar has killed both participants and spectators, and damaged or threatened countless archaeological sites and ecosystems in Argentina, Bolivia, Chile and Peru. 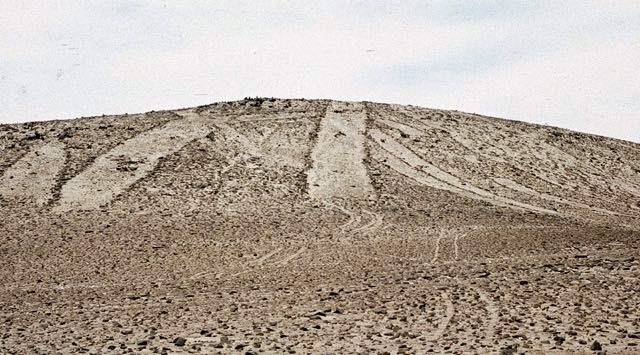 Last year, a Spanish competitor smuggled 1.4 tons of cocaine back toEurope; this year, there’s been only one death, but two participants – a Dutchman and an Italian – were arrested into Antofagasta for off-route wanderings that damaged an archaeological site. 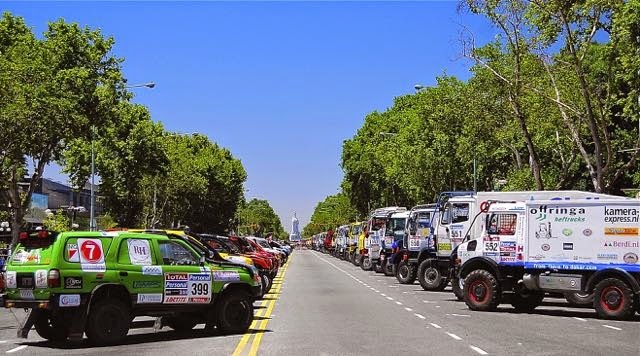 I’ve only ever seen Dakar at its starting point in BuenosAires (as pictured above in 2010), but I know the Atacama and deplore what this senseless event has done to it. I rarely if ever do guest posts but, in this case, I have translated Horacio’s open letter as published on the website Piensa Chile (Think Chile), where you can see the Spanish-language original. I have edited Horacio’s essay for brevity and taken some liberties for clarity in English (I am not a professional translator, though I’m confident I have conveyed the meaning), and all the hyperlinks are mine. 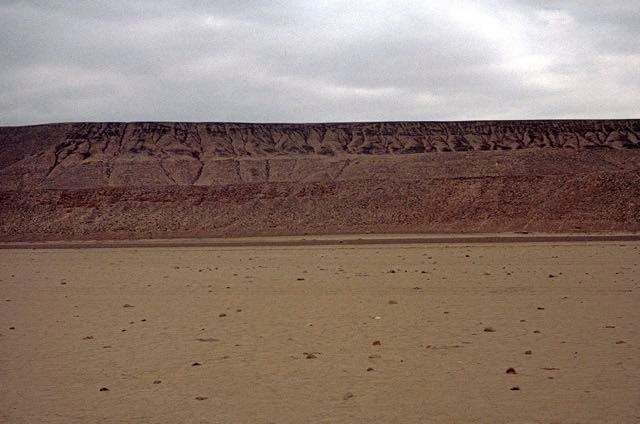 The photographs below display some of the landscapes and features that Dakar puts at risk. In recent years, we have fought a difficult battle against this Rally which is presumably a sporting competition, but which really destroys landscapes and cultural heritage. To summarize, this Rally is a competition and pleasure for the rich (the entry fee is US$240,000) to try out the latest model vehicles before they hit the international market. 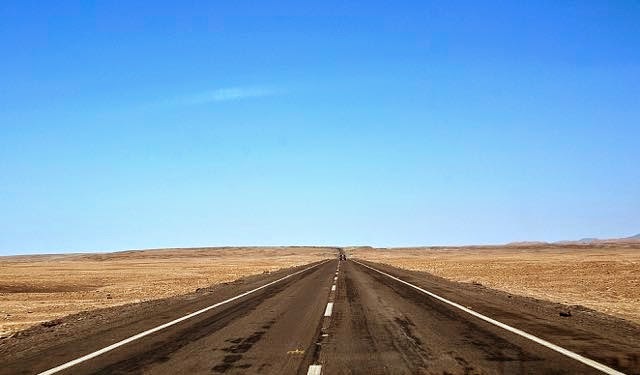 1) There’s a maliciously false idea that “there’s nothing in the desert” and that, for that reason, you can go anywhere and drive through any part of it. Archaeologists, paleontologists, geologists, paleoecologists and paleobotanists know perfectly well that the subsoil is genuine mine of findings of the past, but all of them hidden from view today. For that reason, a superficial glimpse (which they seem to request) can detect little or nothing. 2) Many times, specimens of extinct fauna from the Tertiary and Quaternary, with extraordinary scientific value (species new to science) have been found on the desert flats. 3) The Pampa del Tamarugal is marked by numerous ancient trails, full of history, as manifested by the cultural artifacts tossed or left along them. Thus we can learn about the nitrate industry and the borax industry, of their abandoned settlements and their ancient ways and circuits of exchange. The ancient routes constitute living history for anyone who knows how to read them. For us archaeologists, they are bearers of culture, genuine archaeological sites. 4) One of the oldest and most venerable routes, the Quahpaqñanor “Inka Trail,” crosses the Pampa, from Quillagua to the north along the Salarde Llamara. 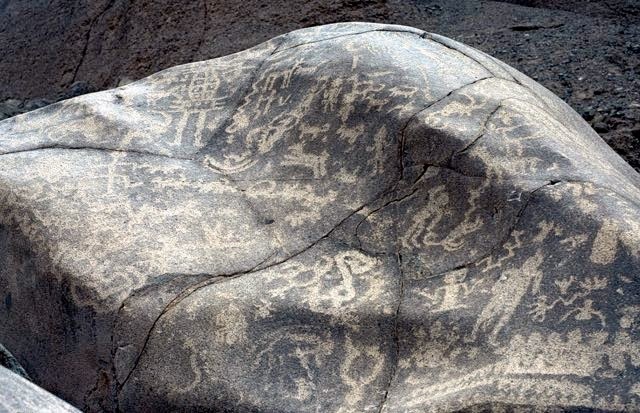 Some months ago, we verified that the Dakar heavy support vehicles of 2012 and 2013 followed this same Inka route for more than 30 km, a criminal act that we reported, as the Camino del Inka Study Group (Universidad Nacional Arturo Prat) to the National Monuments Council in 2014. We received no reply. This inaction and apathy by regional and national authorities worries us. It especially alarms and disturbs us that, to hear their declarations, our repeated scientific proof seems to carry no weight with them, and they are demonstrating an unfortunate absence of cultural consciousness. Even a schoolchild is capable of understanding our fears and shock, on seeing how they expose the vulnerable desert landscape and destroy its surface, on which there was life thousands or millions of years ago that’s hidden to our eyes today. We could cite numerous cases of noteworthy findings in the open flats, where there’s nothing visible today except for some stones. 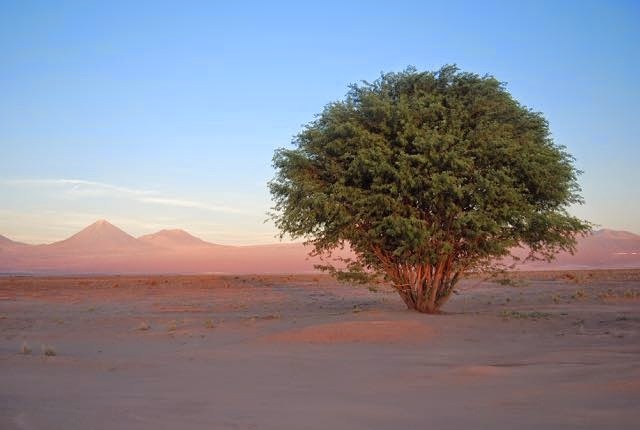 The Pampa is not a desert lacking life and bygone human activity: it is an open book for anyone who wants and has learned to read it. And that, necessarily, is the job of the scientist who talks about the danger that these off-road competitions involve, that they respect nothing, they trample and destroy, competitors and spectators alike, leaving thousands of new marks, marks that unfortunately will last for centuries. For us, Dakar is a true hurricane, highly destructive, whose only objective is to satisfy the insatiable appetite of the powerful automotive industry and appease that hunger for bread and circuses to a bored and deprived humanity that lacks any greater cultural stimulus. 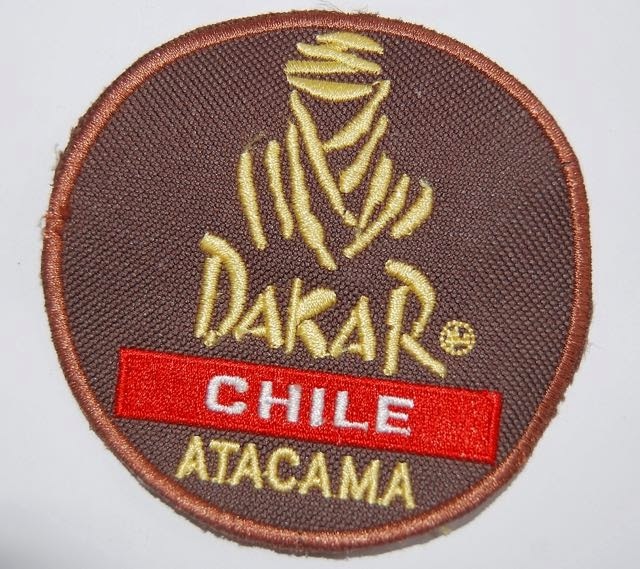 The Atacama desert, and corresponding parts of neighboring countries, should not be ecological sacrifice areas to fossil-fuel “sports.” With luck, Dakar 2015 will the last of its kind, or one of the last, but that will require the governments in question to remove subsidies and forego the international publicity they think benefits them - not to mention the damage Dakar does to their countries. For earlier commentaries of mine on Dakar, please go to this link. 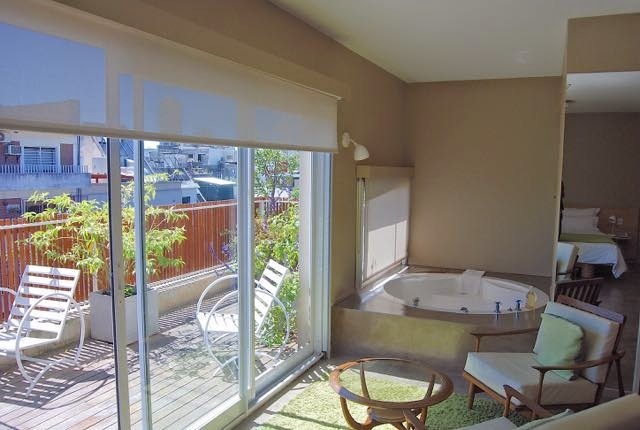 In a lifetime of travel, mostly in Latin America, I’ve usually considered accommodations as a utilitarian service that permitted proximity to the sights I was interested in seeing. 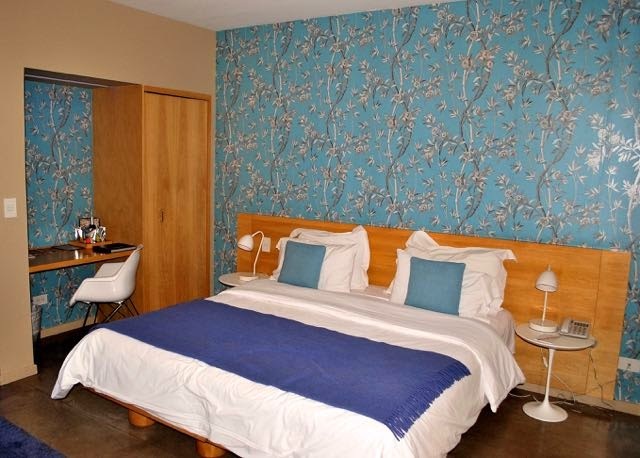 A quiet and tidy place with a reasonably firm bed, clean toilets and a hot shower usually satisfies me although, during nearly a quarter-century of writing and updating guidebooks, I’ve felt the need – the obligation, actually – to provide information about more elaborate options. Even though my own tastes may have evolved as I’ve gotten older – for purely practical reasons, it’s hard to imagine a place without WiFi – I rarely stay at truly upscale places such as those mentioned annually in Condé Nast Traveler’s Gold List (full disclosure: though I subscribe to Condé Nast, I have never written for them, and I would never consider purchasing the magazine at its over-the-counter price). 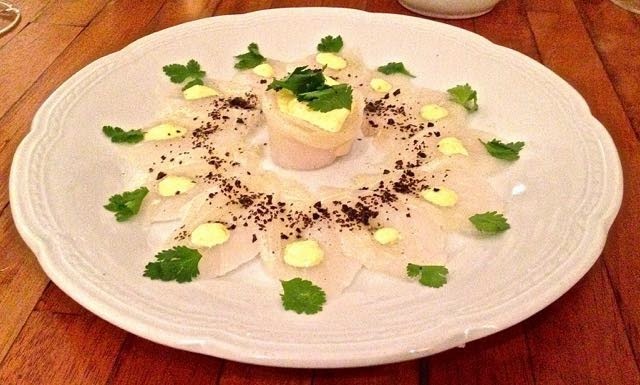 That provides me occasional pleasures – I was agreeably surprised by their article on El Bolsón a couple years ago – and some insight on where the one percent stay when they travel to the Southern Cone countries. This year Condé Nast is doing something slightly different. Instead of a routine summary for each hotel – barely varying from one year to the next in what is already a repetitive list – they’ve chosen to focus on distinctive features of those hotels. 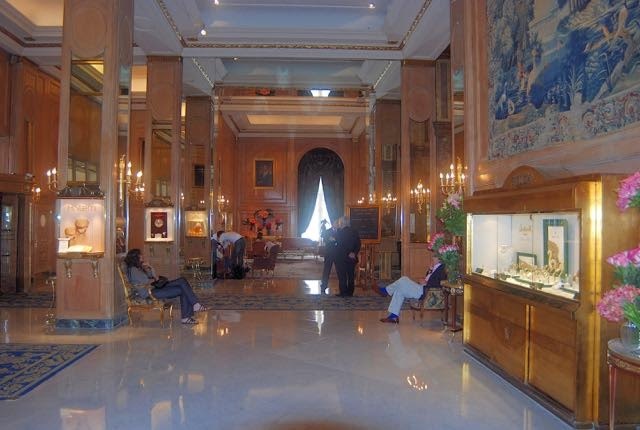 Of one classic, for instance, they say that “The most glamorous place to get a drink in Buenos Aires is the Lobby Bar at the Alvear Palace” (pictured above and below). I’m not so sure of that. While there’s no denying the Alvear’s elegance, its Francophile ambience recalls Argentina’s old guard conservatism rather than the glamor of a star-struck contemporary society. I’ve never stayed at the Alvear (though I’ve had tea and attended events there) and I would suggest that Condé Nast has overstated its case to justify a safe choice. 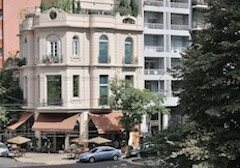 Since I own an apartment in Palermo, I rarely stay in Buenos Aires hotels, but I have spent a night at Home, and have occasionally eaten or had a drink in the bar/restaurant (full disclosure: co-owner Patricia O’Shea was my unpaid “shopping consultant” on an article I wrote for National Geographic Traveler a few years ago). 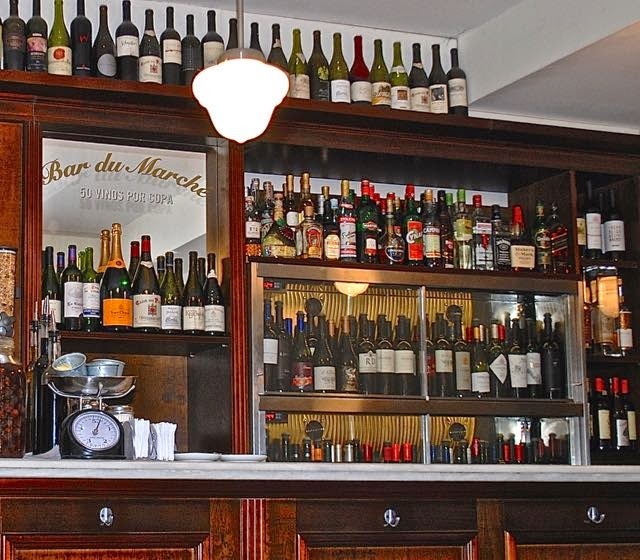 Though the hotel gets celebrity guests, informality is also a strong selling point – there are several truly affordable rooms for guests of modest means - and it even provides guests its own mini-guidebook of the neighborhood. 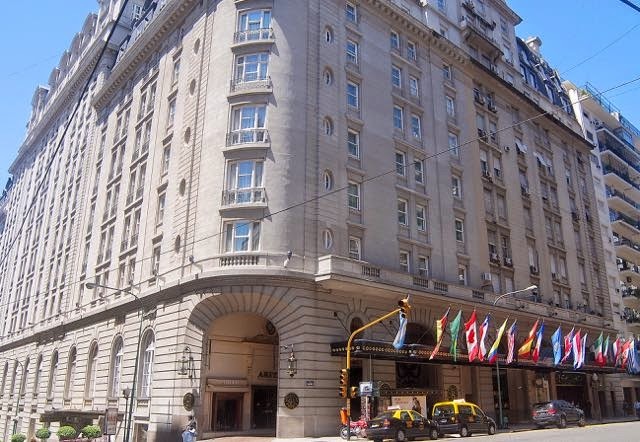 I stayed here several years ago, before the famous actor and noted Argentinophile Robert Duvall sold it, but I’ve not been able to return since it reopened under new ownership. From the photographs on the website, it hasn’t changed dramatically – that’s probably a good thing – but it’s now affiliated with the Relais & Chateaux group of luxury accommodations. Other things being equal, I would probably choose to stay in Salta itself, a walkable city with interesting architecture, excellent museums, and very good restaurants. 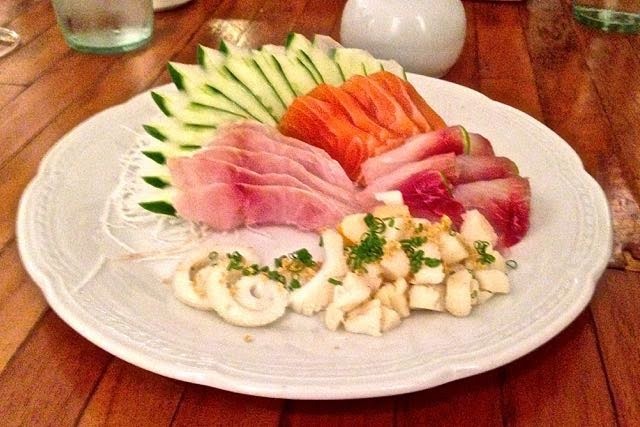 The House of Jasmines isn’t that far away, though, and is undoubtedly more peaceful. And now for something completely different: my longtime Argentine friend Nicolás Kugler and Pablo (a commentator on my previous post) have provided some additional information on vineyards and wines near Buenos Aires. 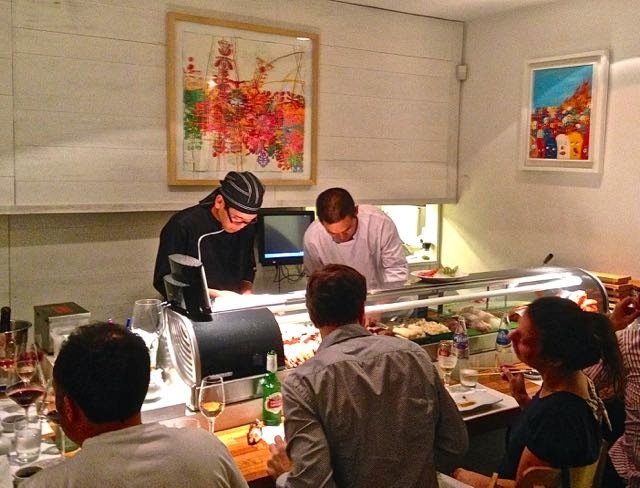 As it happens, the county of Berisso, only 57 km southeast of Buenos Aires on the route to provincial capital of La Plata, holds an annual Vinos de la Costa festival. In the middle decades of the 20th century, this area produced up to a million liters of wine per annum, but now it’s only about 50,000 liters from 25 hectares of vineyards. Nobody suggests the quality comes close to matching that of Mendoza or Cafayate, though. 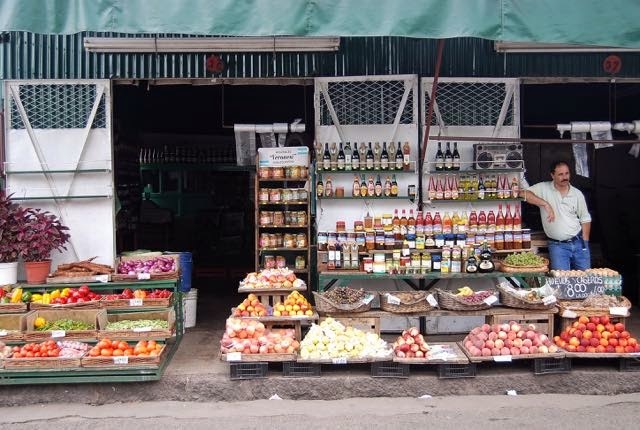 Andrew cites the example of Tigre and the Paraná Delta, which was a major fruit-growing area – in fact, the riverside market there is still known as the “Puerto de Frutos” (pictured above). He also notes that there were vineyards, for both wine and table grapes, in southern Buenos Aires suburbs like Florencio Varela and Monte Grande, and western fruit and vegetable-growing areas like Castelar, Moreno, General Rodríguez and Luján (all within 25 to 70 km from Buenos Aires), “but all of that has been wiped out by the urban sprawl. My photograph below would suggest that, though I’m not sure of the its precise location – it was taken from a flight landing at Ezeiza, on the capital's southern outskirts. I wrote, in my previous piece, that the nearest wine-growing area to Buenos Aires was in Sierra de la Ventana (550 km away), but I was wrong. 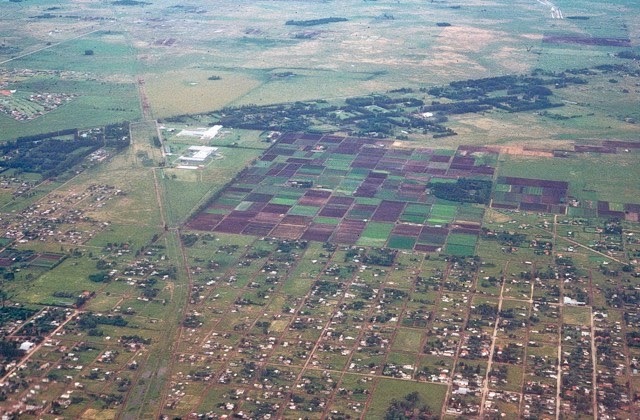 To the north, parts of the provinces between the Paraná and Uruguay rivers – sometimes known as Argentine Mesopotamia (a section of which appears below, from the air) - were a flourishing wine-growing area, but political pressure from the Cuyo provinces (Mendoza and San Juan) eliminated the practice until recently. Now, in the province of Entre Ríos, near the attractive riverside town of Colón (about 330 km north of Buenos Aires), Bodega Vulliez Sermet has begun to produce a variety of reds, including Tannat, under conditions similar to those in Uruguay. 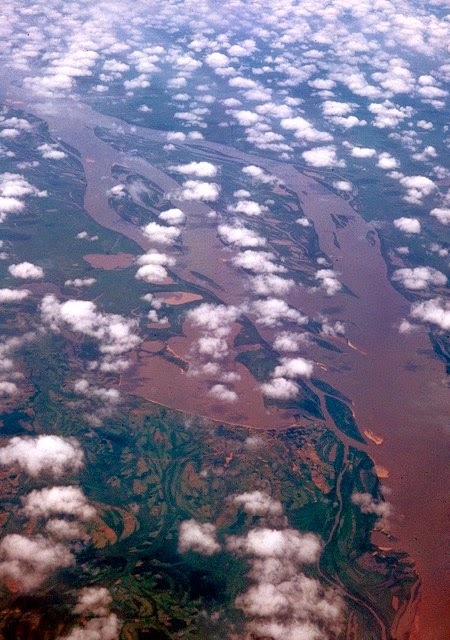 On the west bank of the Río Uruguay, Colón is considerably closer to Buenos Aires than Sierra de la Ventana, though still farther away than those in Uruguay itself. 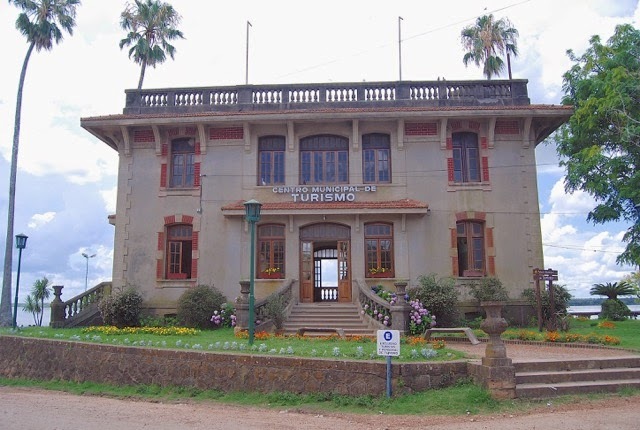 The photograph below is Colón's municipal tourism office, now housed in the historic riverside customs house. It’s been a while since I’ve been to that part of Argentina, but it’s potentially a worthwhile stop for overland travelers en route to the wildlife-rich Iberá marshes or the thunderous cascades of Parque Nacional Iguazú. It’s also a possible detour from Gualeguaychú, the hearth of Argentine Carnaval (due to begin Saturday, January 10th). 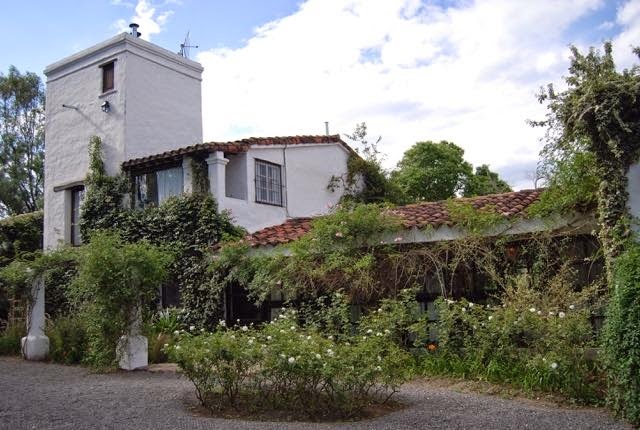 There’s another winery, Corrales Vier, in the more westerly city of Victoria (about 340 km northwest of Buenos Aires). 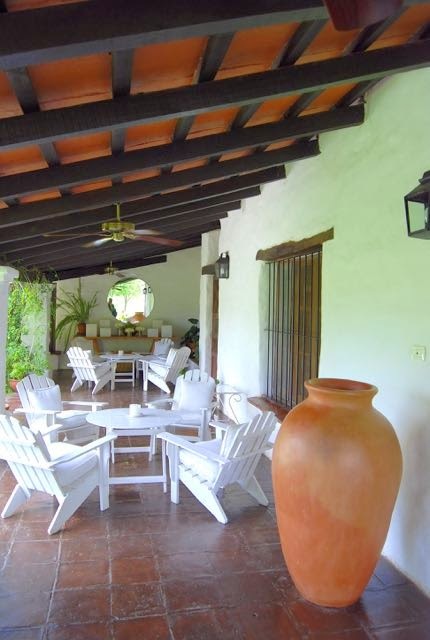 When a sommelier friend of mine tried to contact Vuillez and Corrales by email, though, neither one responded – although Vuillez makes a point of advertising its cabaña-style accommodations. He hasn’t seen wines from either one for sale in Buenos Aires, but did have a sample of Vuillez's at a tasting event several years ago. Maybe these are mystery wines but, the next time I visit Colón or Victoria, I’ll make an effort to stop.